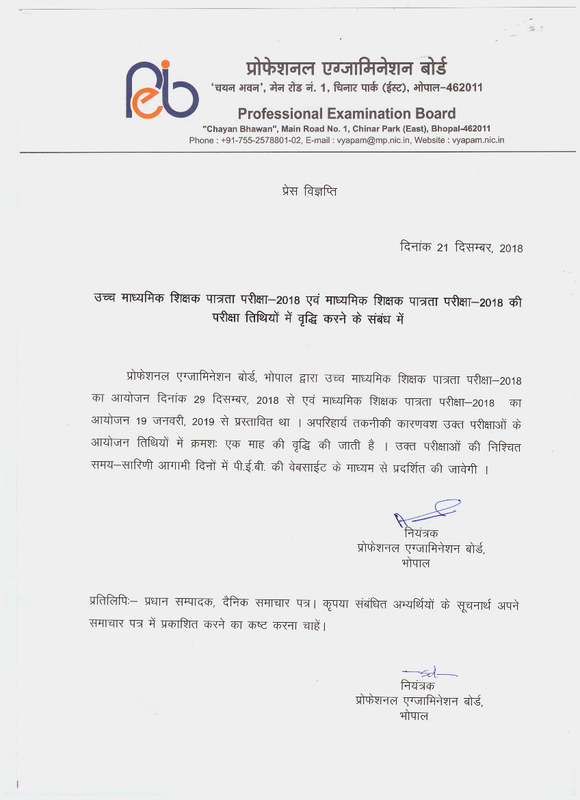 Madhya Pradesh Professional Examination Board MPPEB have upload Admit Card for High School TET Teacher Eligibility Test for Sr Secondary 17000 Teacher Post Recruitment 2018. TET Teacher Post Recruitment then this post for you. This Post given for MPPEB TET Teacher High School Admit Card 2019 so you can apply this post. Payment mode: Every Candidate must Pay the Exam Fee Through Debit Card, Credit Card, Net Banking Only or MP Online Authorised KIOSK in India. age limit post given in table. Candidate should have Master Degree in Related Subject with Second Division Marks and Passed / Appearing B.Ed Exam Passed in Any Recognized University in India.